NASCAR didn’t release the exact amount that Harvick’s spoiler was ruled illegal. However, NASCAR’s Scott Miller did give a ballpark estimate. He said the spoiler was skewed between 200-300 thousandths of an inch (0.2-0.3″) to the right. The rear deck lid and spoiler are spec parts that are the same on every car. The fact that it was illegal says the team either created a part on their own or they modified the spec part. Stewart-Haas Racing was docked 40 points and fined $75,000. In addition, both the car chief and the crew chief were suspended for the remainder of the season. The driver was locked into the Championship 4 following the win. Due to the penalty, the win cannot be used to help him advance in the NASCAR Playoffs. 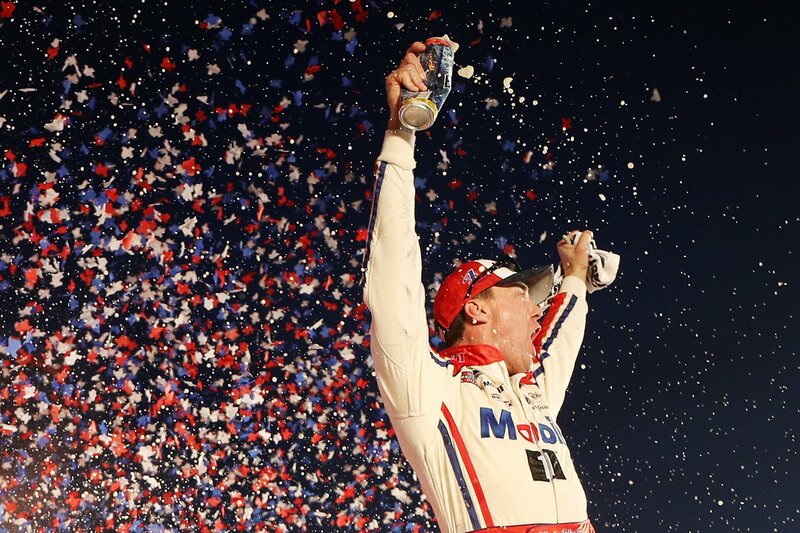 Now, Kevin Harvick heads into the final race before the championship. He sits 4th in the points and needs a solid day and/or a win. Harvick is starting off on the right foot. The #4 team will start from the pole position at ISM Raceway on Sunday. “It was a little bit of a frustrating week. Nobody wants to have the blow that we had,” Greg Zipadelli told NBC Sports. Tony Gibson has filled in as the #4 crew chief. Nick Defazio has stepped into the role of car chief, a role he’s taken with the team in the past. Does it bother you when fans call you cheaters? “There was a time in our sport that I would say that was true. There isn’t a car in this garage today that is 100% legal based on the way our tech inspection goes,” Zipadelli continued.